The engraved silver plated joining heart keyring is an ideal gift for lovers as the heart fits together but is two separate keyrings. Each keyring may be personalised for free with a name or initials (up to 10 characters). 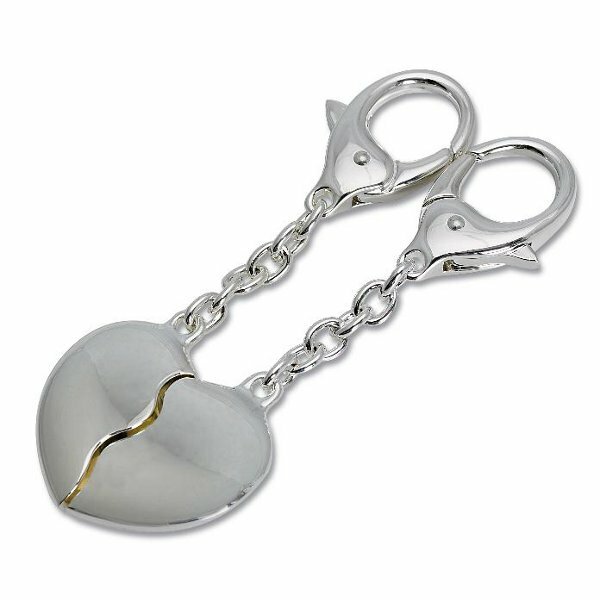 The postage rate for the engraved silver plated joining heart keyring is band A, but buying multiple products may increase the postage to band B.